I bought this book pretty much immediately after I got offered a position in project management. I managed projects before but I learned from my time in IT, that methods and mindset are important. The book had an interesting premise. 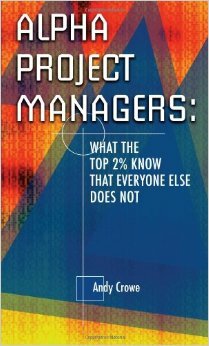 It surveyed project managers and tried to extract behaviors of the top 2%. You will see that the behavior is indeed different. And after now over 2 years managing projects and teaching others how to do so. This is an excellent book. I will write my thoughts on these highlighted passages, so it could be that I talk about something which will be quoted later on. For the professional project manager, when mistakes are put into practice, not only do bad results follow, but bad patterns emerge. Yep, I experienced that one before – multiple times. I don’t blame the members for that. A simple example is that you say “we don’t have to do testing on this one because it is just a small project”. In the next project, the QA skips the testing and you wonder why. Then they explain: “You said we don’t do testing on small projects. You won’t be perfect as a PM or human. Therefore, it’s important to actually do a review of your own projects. I’m pretty sure that note will come up. The best thing I can do for the customer, the team, and my boss is to set their expectations realistically. Another important nugget. Quite frankly, you could stop reading now and just apply these two principles and over time your projects would improve enormously. Later in the role of the quality manager I talked so much about expectations. The PMs understood this principle rather fast but sales didn’t want to. Later these two positions had a bigger overlap and suddenly problems faded away. a manager who planned everything out really well and ran the team at a good pace the whole time, and we kept on schedule. When the customer found out that things were on schedule, he kept trying to increase the scope, but we had a good manager this time, and she wouldn’t let him do it without adjusting the baselines. I think I wrote about that mindset / trick before but there’s one important think in being a PM. You have to lead your team and your customer. If your customer does whatever he wants you can have the best team and the best skill you will eventually fail. The trick is in managing your customer. Mindset. If your goal is to become a VP or CEO and you just use your PM position as a kind of stepping stone you won’t commit to a similar degree to someone who wants to be a PM. approach their role as project manager as something valuable to the organization, important to the team, and critical to the project’s success. I think that’s quite essential for every job you do. If you think that you aren’t worth your money – skill up or leave. Later in quality management I worked with the management board on doing something like that for the company. It’s very important that people have guidelines for decisions. There’s this concept of a mantra which is a 3 – 4 word summary of what the company is. Let’s say your mantra is ‘quality over everything’. This helps people to make decisions. Because every time they have a decision on which they aren’t sure they just take the one which promises more quality. The second ability the Alphas displayed was the ability to establish and maintain priorities on both a higher, strategic level and a lower, tactical level. I frankly have no idea how to teach somebody that. It’s probably mostly experience. The belief that responding to e-mail does not generally constitute “real work” is a belief that pervades the Alpha group. More generally that has something to do, imho, with busy work. In Toyota they said movement is not the same as work. Replying to e-mails might look like work but it’s often just busy work. “I much prefer to speak with someone in person than over the phone or e-mail. Always. You get more information and the probability of conflict is lower. You can explain stuff easier, write something down, etc. Also don’t write e-mails if something gone horribly wrong. Either visit the person or talk to them. First, many project managers lack a key understanding of their audience’s communication needs. The other skill that project managers typically lack is an awareness of how their communication was being received by the stakeholder. Later, I broke it down to: ‘Just talk’. There seems to be in inherent fear in asking people. I sat in so many meetings were people discussed and assume what somebody wanted. Just talk to them, ask them. Ask your customer if he’s happy or if he understood what you said, etc. Also the communication needs are incredible important. The book proposes a communication schedule. It doesn’t have to be formal but it has to be there. E.g. your customer receives a status report on every Thursday at 10a.m. If he’s happy that’s great because you just saved yourself thousands of e-mails and calls asking about the status of your project. I try to take the mystery out of that right from the start. “I don’t have time to read the volume of material this project manager expects me to. “It takes me less than ten minutes to go over his reports each week. They made it a top priority to communicate, whether it was good news or bad, and regardless of whether it was convenient for them to do so. Alphas allocated just over twice as much time toward project planning as their counterparts. In fact, the Alpha group reported spending more time in every process group except for execution. I will writes notes on an other book in the future which covers this in more detail. But I can say from my own experience, that the best projects I did just ran. It was like sitting in the car and all you had to do was to fill up the tank and look out the windscreen. So do I. But I don’t think that an excellent SME with poor communication skills is as good as a good non-SME with excellent communication skills. Nearly regardless of your job a good network in your organization helps a ton. But even more as a PM. Yada, yada, yada. Cost of change curve. Fixing errors early is cheaper than later. I make every project decision actionable. Every assignment I make has accountability and authority built-in. When I wrote down actions I remember it like that: What? Why? Who? Until when? How? that my relationships are just as important as the project. Yep. Don’t break your existing relationships to rescue something you fucked up. It’s a long-term game. feedback loop in place, where the Alpha project manager would provide formal input on their performance appraisal. Try to walk from where are you’re now to your nearest supermarket without feedback. Good luck! many forms that this motivation can take, including recognition, praise, and financial incentive. Also a great idea – which I saw in this or an other book, I frankly can’t remember the exact one – is to sponsor some meal. Order some pizzas for your team. They’ll love it. Also people thrive on recognition and praise. I remember one situation quite vividly. I asked a graphic designer (which is now a good friend of mine) to change some banners he made earlier. I forgot to criticize something earlier. I said I would give him 1000 thanks if he could do it. He immediately changed it. I sent him an e-mail with 500 thanks and printed the other 499 on a piece of paper and wrote one by hand. I then delivered him the paper. He was surprised but looked pleased. A day later I visited him again and saw that he had this piece of paper hanging on this wall. It hang there for a few months. I was always surprised how big an impact one sign of gratitude could have. Everybody seem to have different thresholds. Some are okay if the problem potentially puts the deadline 1 day back, or 1 week or 1 month. It’s a big of experience. But I would recommend trying out different thresholds first. Good managers deliver results, while good leaders develop people, and in most organizations, successful project managers need to be able to do both. Teams want someone they can trust and respect. It’s important to me that everyone is very clear on what is expected and that they feel empowered to get it done. The empowerment part is often neglected. I thought of myself as the leader of my tribe. If they are hungry I can’t say: Stop being hungry. Instead I have to manage to get food. This doesn’t mean that you have to get food by yourself but it’s your responsibility to support your team. Alphas influence their environments is by measuring and reporting meaningful metrics, particularly the metrics of time, money, and customer satisfaction. safe and, in some cases, anonymous environment for people to give feedback on the manager’s performance from varying perspectives, project managers can gain valuable (if sometimes painful) insight into how others perceive them. Mentoring can provide time for both project managers to analyze and discuss processes, approaches, and specific situations outside of the working environment.